Alessandro Bianchi: The geographic location of Afghanistan has always occupied a central role. The April peace talks between Afghanistan, India, Pakistan, Russia and China seemed to have put an end to the persistent and dominant American presence in the country. What’s your opinion? Let us also not call it only the “American presence”. I know some Europeans lately love to portray themselves as some kind of victims, but they are definitely not. Europe is at the core of this entire global nightmare. And the US is nothing else other than its creation: it is Europe’s offspring. In many ways, the United States is Europe. The UK is now well behind this horror through which Afghanistan is being forced to go through, at least theoretically; a sadistic revenge for all former British defeats in the country. The UK is responsible for more massacres worldwide than any other country on Earth. And now it is shaping the US and in fact the entire Western imperialism, ideologically. Its Machiavellianism, its propaganda machine is second to none. What I can confirm from my first-hand experience is that by now the people of Afghanistan have had truly enough of this Western imperialist barbarism. They are exhausted after 16 years of the horror invasion. They dislike the West; mistrust the West… But most of them are silent, because they are constantly being frightened into submission. And also remember: collaboration with the Western occupation forces is now the greatest ‘business’ in the country. Afghan diplomats, many politicians, countless military commanders, Western-funded NGOs, even thousands of educators, are all serving the occupiers. Billions of dollars are being made from such shameful collaboration.It is all one huge business, and the mafia of servile Afghan ‘journalists’, diplomats, governors and ‘educators’ will never leave their lucrative positions voluntarily. Western colonialism corrupts! It corrupts one generation after another in all conquered, occupied countries. Afghans who are pure, Afghans who are proud, true patriots with beautiful hearts (and there are still many of such people in this country that became one of my favorite places on Earth) have presently no power, no say. Fortunately, even the elites are now realizing that there is no way forward under the present regime, and under the present foreign rule. In Kabul and in the provinces, people are beginning to look towards Russia, China, but also Iran, even India. Despite its terrible past track record in this part of the world, even Pakistan cannot be ignored, anymore. Anything is better than NATO. AB: Like in other parts of the world, the presence of American troops does not fully explain the long-term goals of military planners. Afghanistan in some respects resembles a similar situation to Southeast Asia. In South Korea, the American presence has persisted since 1950, and with it the destabilization of the Korean peninsula. The American surge will not change the delicate balance negotiated between the parties back in April and it will not affect the efforts of Moscow and Beijing to stabilize the country. How do you define the US presence today in Afghanistan? AV: I define it as inhuman, barbaric and thoroughly racist. And I’m not talking about the US presence only, but also about the European presence, particularly the British one. There could be absolutely no doubts regarding how deep once-socialist Afghanistan has sank under the NATO cruelty. 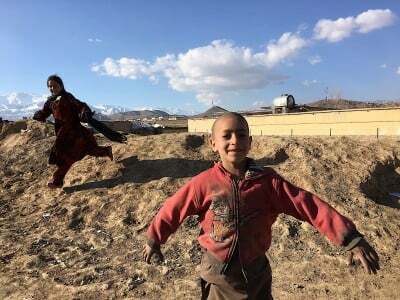 It is enough to go even to the sites of the UNDP or the WHO and it all there, in details: Afghanistan is now the least ‘developed’ (using HDI criteria) country in Asia. Afghan people have the lowest life expectancy on their continent. What the West has done to Afghanistan is insane! It is Orwell meeting Huxley, and all mixed with the worst nightmares of painters like George Grosz and Otto Dix. Old trolley bus lines built by the former Czechoslovakia are gone; only stumps are left. But so much is still surviving. Soviet apartment buildings, so-called Makroyans, are still standing and flats there are in great demand to date. Water ducts in the countryside were built by Soviet Union, and so were irrigation canals around Jalalabad and elsewhere. India built dams. China constructed public medical facilities. What did the West create? Nothing else other than total misery, armed conflicts and above all–countless military barracks, tall concrete walls and fences, the drug trade, intellectual prostitution and as always, dark and complete nihilism! In 2007, around 700 Afghan civilians were killed by Western airstrikes alone, a great increase even when compared with 2006. 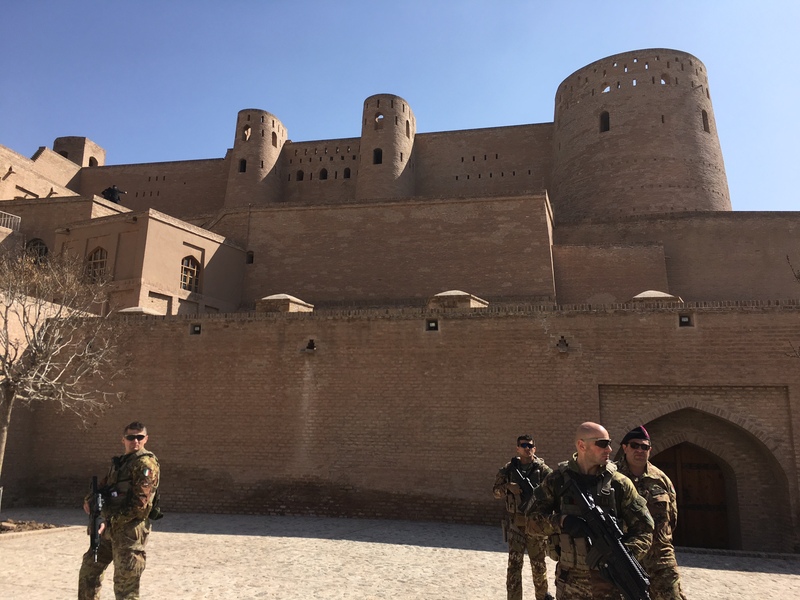 Georgian military contractors who are working for the US occupation army recently told me: US have total spite for Afghan people. They even destroy unused food at its military bases, instead of giving it to starving children. People of Afghanistan know perfectly well who are their friends, and who are enemies. AB: The world is changing, and more and more fruitful efforts to replace the chaos wrought by US policies can be seen. The road to economic prosperity and a re-established unity among the Afghan people is still a work in progress, but once the country manages to establish its independence, Washington will have a hard time dictating conditions. Will countries like Russia, China and India be able to prevent a dangerous escalation in Afghanistan? AV: Many people in Afghanistan are actually dreaming about true independence, and most of them remember with great love, all the kindness and internationalism given to them by the Soviet people. Unlike the Westerners, the Soviets came here first as teachers, doctors, nurses and engineers. They shared with the locals all that they had. They lived among them. They never hid behind fences. To date, in Afghanistan, you say you are Russian, and dozens of people will embrace you, invite you to their homes. It is all in stark contrast to the Western propaganda, which says that Afghans dislike Russians! When it comes to Russia and China, yes, both countries acting in concert would be able to bring economic prosperity and social justice to Afghanistan. I’m not so sure about India, which is, until now, clearly sitting on two chairs, but definitely China and Russia are ready and able to help. The problem is that Afghanistan is still very far from any sort of independence. The West has occupied it for 16 years, that’s terrible enough. But the country has also been sacrificed for the even more sinister designs of the US and NATO, for much longer than that: Afghanistan has been, for decades, a training ground for the pro-western jihadi cadres, starting with Al-Qaeda/Mujahedeen (during the ‘Soviet War’ and the war against Afghan socialism). Now the Taliban is ruining the country, but also, increasingly, ISIS are murdering all in sight here. Recently, ISIS have been arriving from Syria and Lebanon, where they are in the process of being defeated by the Syrian army, by the Russians, but also by the Lebanese forces and Hezbollah. The ISIS was, as is well known, created by the West and its allies in the Gulf. This is essential to understand: two countries that the West wants to fully destabilize are Russia and China. In both of them, Islamist fundamentalists have been fighting and bringing horrible damage. The West is behind all this. And it is using and sacrificing Afghanistan which is absolutely perfect for the Western imperialist designs due to its geographical location, but also because it is now fully destabilized and in a state of chaos. In Afghanistan, NATO is maintaining ‘perpetual conflict’. Jihadi cadres can be easily hardened there, and then they can be ‘exported’; to go and fight somewhere in Northwest China or in the Central Asian parts of Russia. The destruction of Afghanistan is actually a well-planned genocidal war of the West against the Afghan people. But the country is also a training ground for jihadists who will eventually be sent to fight against Russia and China. AB: While the United States exhales the last breaths as a declining global power, no longer able to impose its will, it lashes out in pointless acts like lobbing 60 cruise missiles at Syria or sending 4,000 troops to Afghanistan. Such acts do not change anything on the ground or modify the balance of forces in Washington’s favor. They do, however, have a strong impact on further reducing whatever confidence remains in the US, closing the door to opportunities for dialogue and cooperation that might have otherwise got on the table. AV: Here I have to strongly disagree. I’m almost certain that the West in general, and the United States in particular, are clearly aware of what they are doing. The US has some of the most sinister colonial powers as its advisers, particularly the United Kingdom. The US will not simply go down the drain without a great fight, and don’t ever think that Europe would either. These two parts of the world were built on the great plunder of the planet. They still are. They cannot sustain themselves just from the fruits of their brains and labor. They are perpetual thieves. The US can never be separated from Europe. The US is just one huge branch growing from an appalling trunk, from the tree of European colonialism, imperialism and racism. Whatever the US, Europe and NATO are presently doing is brilliantly planned. Never under-estimate them! It is all brutal, sinister and murderous planning, but from a strictly strategic point of view, it is truly brilliant! And they will never go away on their own! They will have to be fought and defeated. Otherwise they are here to stay: in Afghanistan, in Syria, or anywhere else. AB: What is the role of Italian troops that you have seen in your last visit to Afghanistan? AV: It is a usual cocktail consisting of what Italian fascism has been made of throughout its colonialist, fascist and NATO eras: a medley of cruelty, hypocrisy, as well as some great hope in Rome that Italy could finally become a competent and ‘respected’ occupier… I saw the Italian troops in Herat… They occupied an ancient citadel of the city, jumping like members of some second-rate ballet troupe all around, just because some high-ranking Italian officer was bringing his family to visit the site. It was all tremendously embarrassing… I still have some photos from that ‘event’. But the best thing about Italians as occupiers is that they can hardly be taken seriously; they are disorganized, chaotic, and hedonistic even during war. I actually love to see them in such places like Afghanistan, because they do very little damage. They are true showoffs. The French, Brits, and the US – they are efficient and brutal, true killing machines. Italians are still better at making movies, writing poetry and cooking, than murdering locals in occupied foreign countries.